Ships today if you order in the next 11 hours 3 minutes. The connective tissues throughout your body are important to your ability to move freely and are crucial to optimal joint health as well. The aging process can have negative effects on your joints as well as these tissues, resulting in limited flexibility and decreased range of motion. 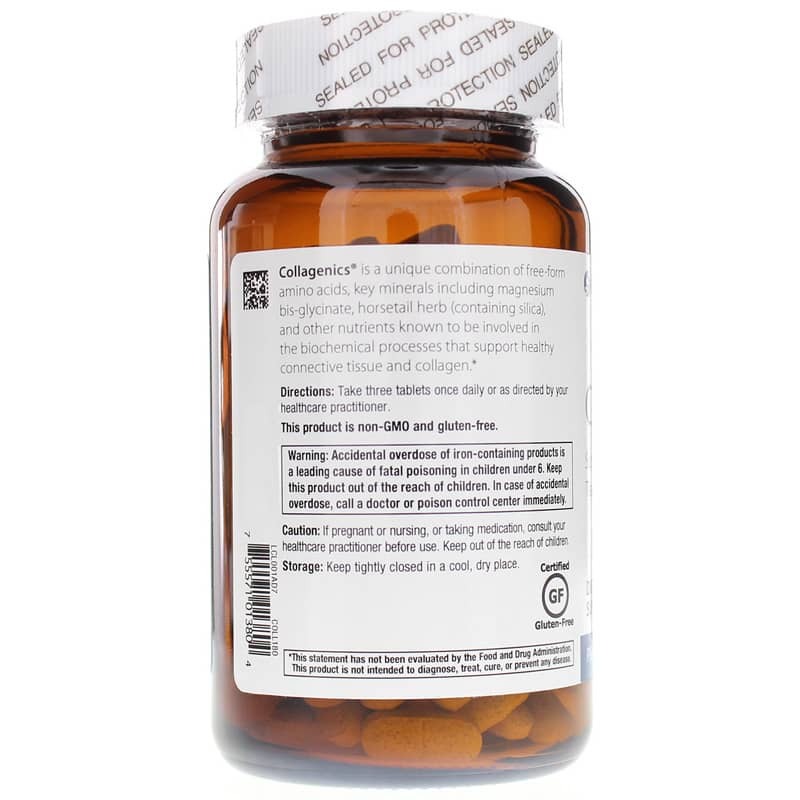 Collagenics from Metagenics delivers a wide range of vitamins, minerals, and other nutrients to support the growth, construction, and overall health of your connective tissues. Make the choice to keep yourself flexible, pain-free, and healthy. 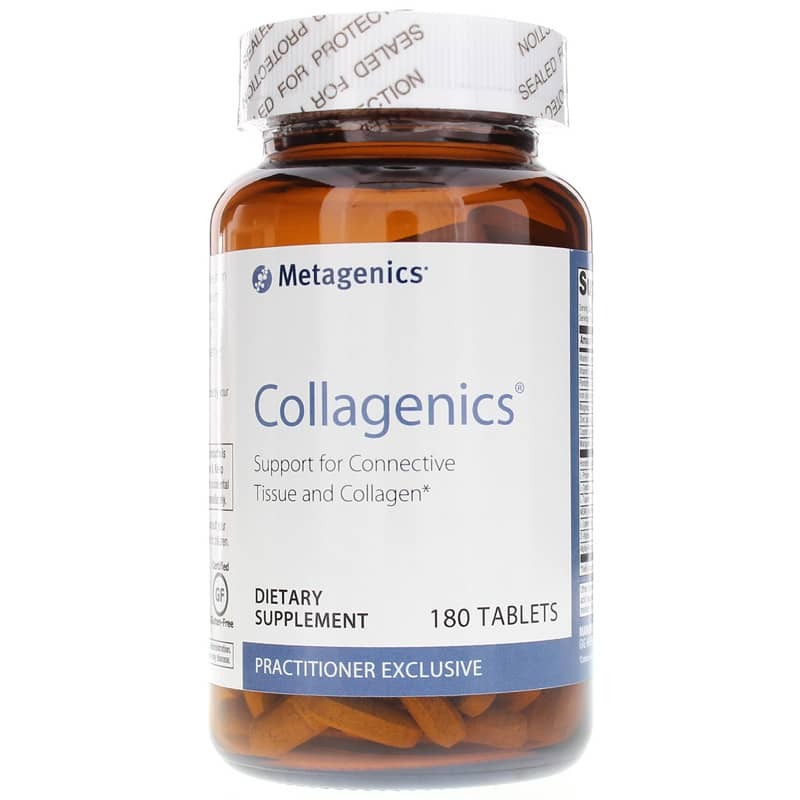 When you choose Collagenics from Metagenics, you're choosing an all-natural formula that helps keep your connective tissues at optimal health so you can enjoy life. Give it a try today and see the difference it can make! 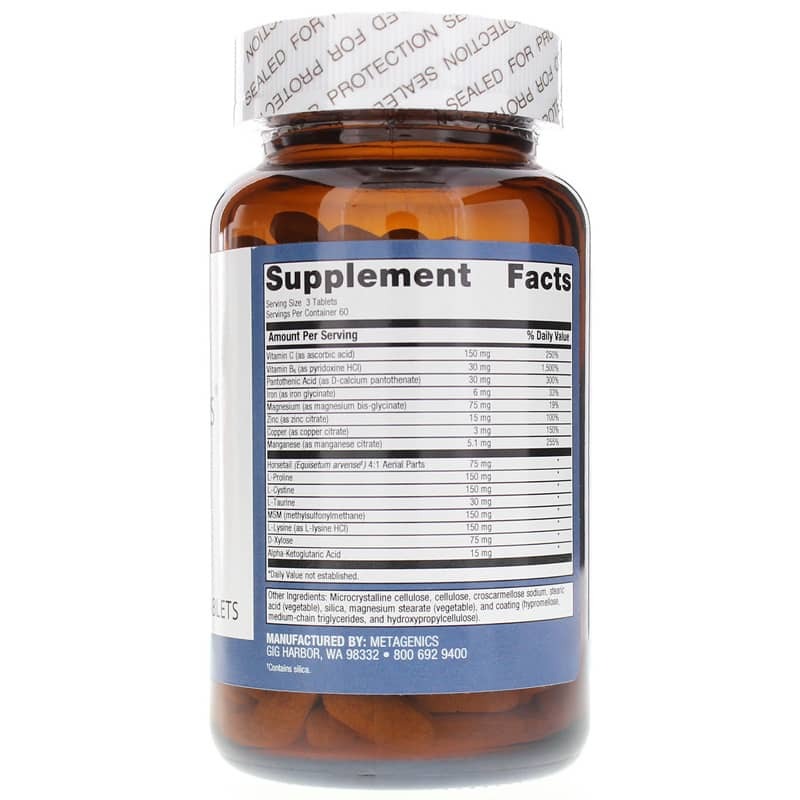 Other Ingredients: microcrystalline cellulose, cellulose, croscarmellose sodium, stearic acid (vegetable) , silica, magnesium stearate (vegetable), and coating (hypromellose, medium chain triglycerides, and hydroxypropylcellulose). If you are pregnant or nursing or taking medication, consult with a healthcare professional before use. Keep out of the reach of children.